The 2016-2017 school year has been one of excitement for all of IUB, but especially for the PACE program. This year PACE has seen a 50% growth in enrollment and an outpouring of community engagement from its current students. Read on to see how PACE has expanded its programming and empowered students to lead! PACE hit the ground running in the beginning of the Fall 2016 semester. It being a presidential election year, we saw an opportunity and a necessity to get the student body more engaged in the electoral process. So, PACE spearheaded the All In Campus Democracy Challenge, an effort committed to increasing voter participation and producing lifelong active citizens on college campuses. Read more about the All In Challenge here! As part of the challenge, we obtained Provost support, included a link to voter registration on IU’s Canvas page, and held a Walk 2 Vote event on the first day of early voting. This event was a celebration of democratic engagement meant to encourage students to vote early and often! It even included a colorful and festive parade to the early voting location in downtown Bloomington. Watch a video of the event here! Our events for the year also included a networking night with State and community leaders and PACE alumna Katie Mettler of The Washington Post; a breakfast with Dr. Robert Gannett, Executive Director of Institute for Community Empowerment, Chicago; and we co-sponsored with the Kelley Institute for Social Impact (KISI) a dinner with students and talk by Wayne Pacelle, CEO of the Humane Society of the United States, about his book The Humane Economy. In another event we held with KISI, “Meat the Future,” David Kay spoke about the “clean meat” movement and the global environmental impact that the meat industry has produced. In October 2016, Sidney Harris, a 2017 PACE grad, attended the National Conference of Dialogue and Deliberation with Professor Lisa-Marie Napoli to present on a panel entitled "Bridging the Campus-Community Gap via Student Involvement." She participated in student activities with mentoring and made significant connections in the larger field. PACE participated in the Arts & Humanities Council’s First Thursday events. At the November celebration, just 5 days before Election Day, we hosted a tent of activities that helped to enhance civility in conversation and discussion during the election. This came at a great time for many students who were returning home for Thanksgiving and wanted to prepare for potentially heated discourse with their families. At the March event, our tent focused on civil discourse and the experiences of Chinese students at IU. We fostered conversations between both Chinese and American students about issues of “Identity and Inclusiveness” in order to create a more welcoming campus atmosphere for meaningful cultural exchange. PACE's Voices for Democracy and Civility has not only been active at First Thursday events but has also been convening and moderating National Issues Forums on the topic of "Safety and Justice." PACE students, Emily Anderson, Maddy Easley and Reagan Kurk participated as moderators and notetakers facilitating important conversations on current safety and justice issues both in the local community and with Burmese students. The information collected at these Forums was gathered, along with information from Forums held in different parts of Indiana, and delivered directly to national legislative representatives in D.C. Supported by the Kettering Foundation's A Public Voice project, Lisa-Marie Napoli and Rafi Hasan (Director, City of Bloomington's Safe and Civil City) flew to Washington, D.C. to sit down at a roundtable discussion to let national representatives know what Hoosiers have to say about safety and justice issues and, just as importantly, to help them understand that citizens can have meaningful and productive conversations about issues with people who have different and sometimes opposing perspectives. Most recently, PACE put on a program focusing on the question, “How Free Should Speech Be at IU?” The event featured a panel of representatives from student groups across campus and PACE professors Carl Weinberg and Maria Katrien Heslin as well as a discussion moderated by PACE Director Sandy Shapshay. This event focused on recent expressions of student speech and assembly and came days after controversial sociologist Charles Murray visited campus. In February 2017, we held our annual Issue Forum on the topic “U.S. Immigration and Refugee Policy.” The forum featured expert panelists on the topic from around the area: Christie Popp, an immigration lawyer and owner of the Popp Law Office; Don Barnett, a non-resident fellow at the Center for Immigration Studies in Washington, DC; Luis Fuentes-Rohwer, a professor at the Maurer School of Law who specializes in legal history and civil rights; and Oliver Shao, a Folklore PhD candidate whose research focuses on refugee populations in Kenya. The forum attracted 92 participants and utilized the moderation skills of 25 PACE student moderators. This school year, for the first time, our two PACE-C 250 (Leadership and Public Policy) classes were able to take a field trip to the Statehouse in Indianapolis, where students met with 4 legislators, 2 advocacy group leaders, and numerous staffers to learn more about how the legislative branch functions at the State level in Indiana. In the spring, one of our PACE students, Maggie Eickhoff, launched a research and advocacy project to make voting more accessible to students on campus. The project included partnering with the Monroe County Election Board and crafting and presenting a proposal for a centralized voting location. The proposal gained endorsements from bipartisan student groups as well as IUB Provost Lauren Robel. Maggie was thoughtfully mentored by PACE Director Sandy Shapshay and Professor Bernard Fraga of the Political Science department and was able to receive credit for her independent project through the PACE program. She hopes to secure this central voting location by Fall 2018. Our students have stayed active in the community by completing internships locally with Mother Hubbard’s Cupboard, a food pantry and food-security nonprofit; Middle Way House, a domestic violence shelter and resource center; and the Monroe County Energy Challenge sponsored by the Mayor’s office. At the state level, students have interned with the Prosecutor’s Office in Indianapolis, and with the House and Senate Republicans and Democrats. And, extending their reach to Capitol Hill, our students have interned on the national level with the Senate Committee for Health, Education, Labor and Pensions as well as the U.S. Commerce Department. Thanks to the generosity of Steve and Lisa Block, we were able to offer 6, thousand dollar Block Scholarships to defray the costs of doing these life-changing but unpaid internships. 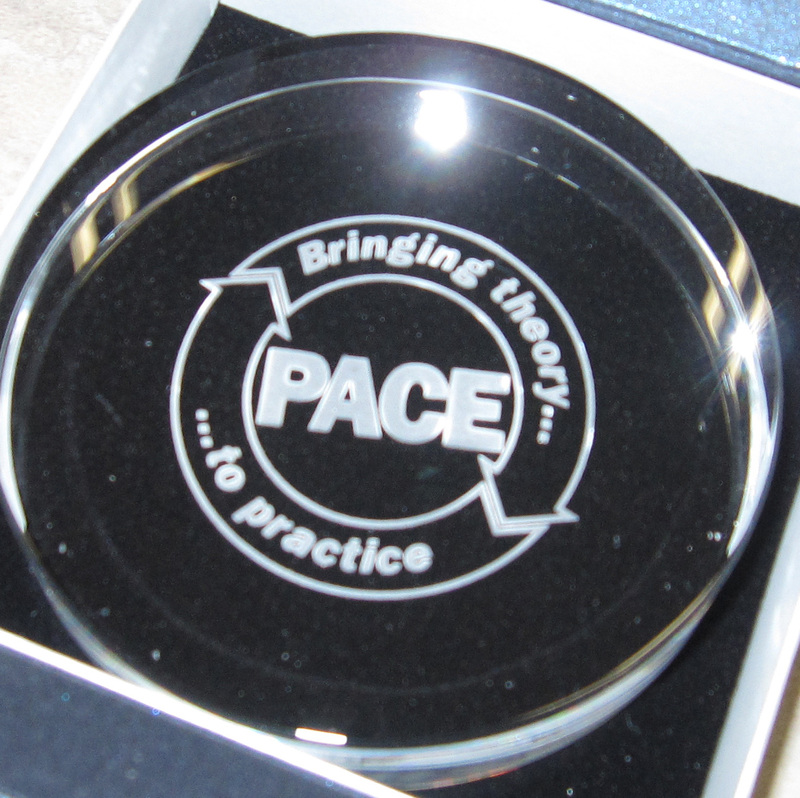 At the end of the year, PACE said a tearful but well-wishing goodbye to 14 graduates from our certificate program. We held a celebration in their honor as well as in the honor of several non-graduating PACE students who received awards for high achievement in the program and in their internship experiences. We look forward to all these grads have ahead of them, and welcome them into the alumni network! As for the future of PACE, we aim to keep up our momentum and expansion through a new PACE minor in Leaders & Leadership! This minor has been approved by the University to begin in May 2017. It, like the PACE certificate, will focus on civic engagement and experiential learning and comes with a few exciting new course offerings: PACE-C 100 (Introduction to Theories of Leadership) and PACE-C 350 (Leadership, Social Movements, and Politics in Modern America)! Thanks to all the amazing PACE students, past and present, who have helped PACE be what it is as a dynamic, growing, engaging and important program! We celebrate each and every one of you - and miss seeing our awesome alum. Please keep in touch. Our work is needed to make a difference so let's keep putting theory into practice and making significant contributions in unique ways. Let's stay connected and keep growing more solid to make a mark in the world in positive ways! PACE alumni, please send us your updates at pace@indiana.edu or call us at 812-856-1747! You can also stay in touch via our Facebook group and our LinkedIn group.